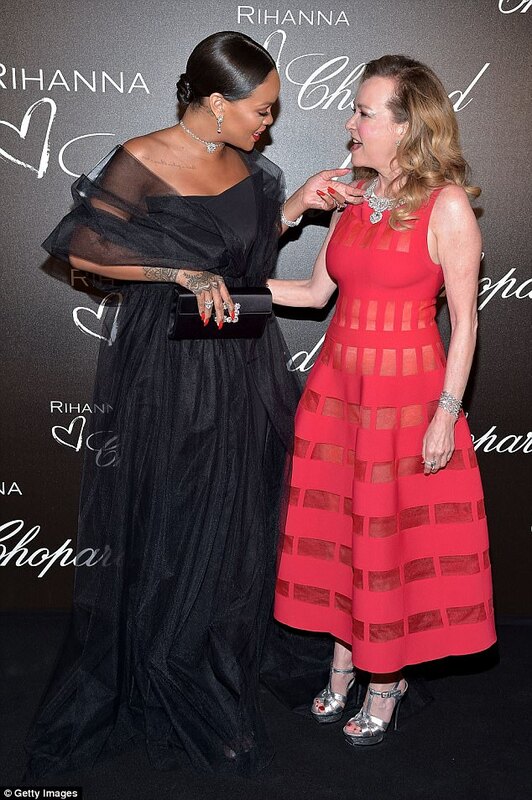 Rihanna announced she designing with the legendary Caroline Scheufele of the chopard family a few months back and now she has her own high end jewelry collection! She was nothing short of Glamorous as she attended a dinner celebrating the launch of her collaboration with Chopard in Cannes this week. The 29 year old Diamonds singer switched up her usual street style for a glamorous black tulle gown by Ralph & Russo, arriving at the star-studded event to the cynosure of all eyes..